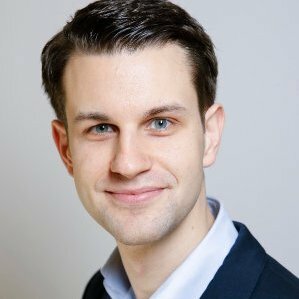 Jonas Pendzialek works as Digital Transformation Manager for Techniker Krankenkasse (TK). TK is the single largest health insurance company in Germany. His role is to coordinate and manage digital transformation projects for the TK internally and externally. Previous to that, he was working for B-LUE Management Consulting, a top management consulting firm, specialized in the health care industry. There, he advised health insurance companies, hospitals, pharmaceutical company and many other clients in the health care space on strategic and organizational issues. Jonas studied Business Administration and Economics at the Leibniz University in Hannover and at the ESC Rouen. He recently finished is dissertation in health economics on the topic of health insurance competition at the University Hospital Cologne.